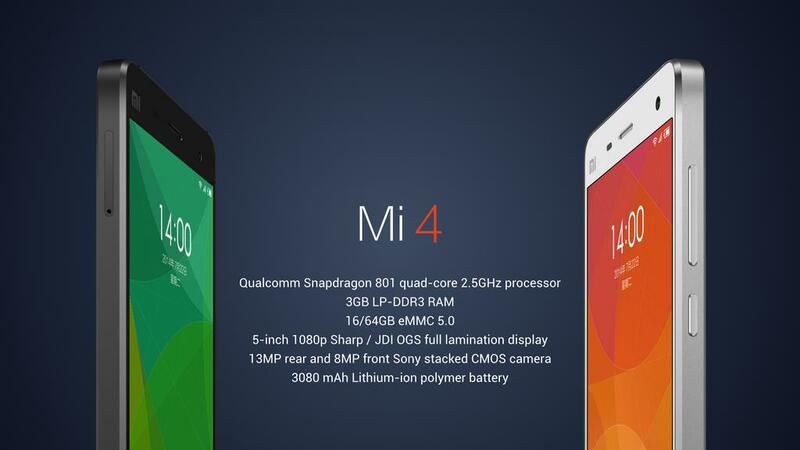 Specifications of the Xiaomi Mi 4 has been announced! 2.5GHz Quad Core Snapdragon 801 with 3GB RAM and a choice of 16GB and 64GB storage, 5 inch screen and a huge 3080 mAH battery. It is different from the initially rumoured Snapdragon 805 and 5.5″ QHD screen, and the specs will suggest it will go head on competition with the other flagship models. A larger battery might suggest longer charging time but the Mi 4 will allow fast charging of 60% in under one hour. Sounds like an Oppo feature. There’s also a 13MP rear and 8MP front facing camera – perfect for selfies. Also, the only metal for the phone seems to be the metallic band around the edges. It seems to run contrary to the “the journey of a piece of metal” tagline that was hyped up pre-event. Everyone got rickrolled. The anticipation and excitement of the Mi4 announcement is huge – shows how much Xiaomi has grown over a short four years. It would be great if Xiaomi brings the Mi4 to Singapore but it may not be that soon – perhaps September / October timeframe. Xiaomi has been doing well in Singapore, constantly selling out the battery packs, earphones, Redmi 1S and Redmi Note. The popularity of the phone coupled with their weekly flash sales has helped them establish a level of credibility and product trust compared to the other China phone manufacturers. This would probably help them move more units of the Mi4 when it is available here. How much does the Mi4 Cost? The Xiaomi Mi4 16gb will retail for 1999 RMB = S$399 after conversion. A flagship phone at a mid-tier phone price.